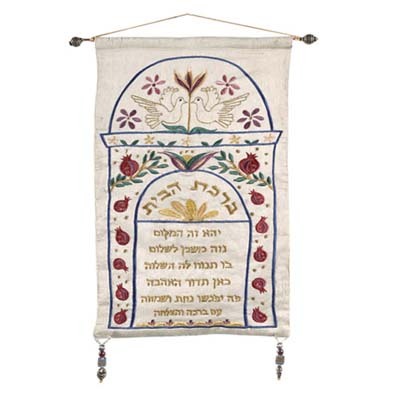 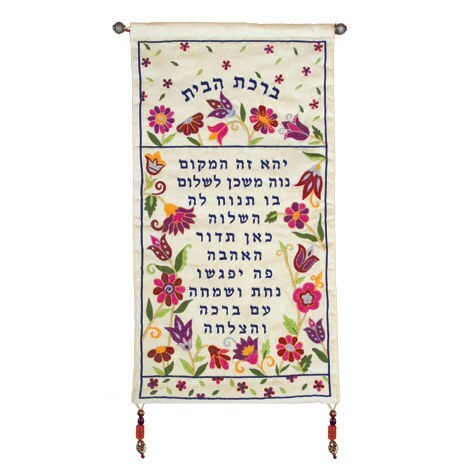 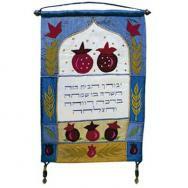 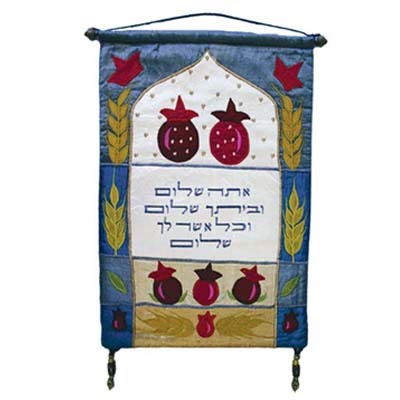 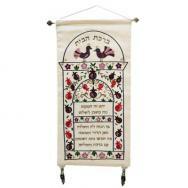 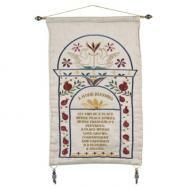 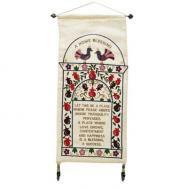 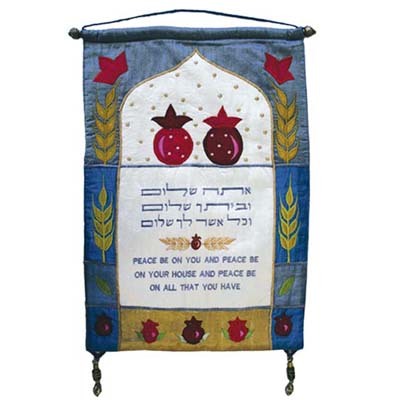 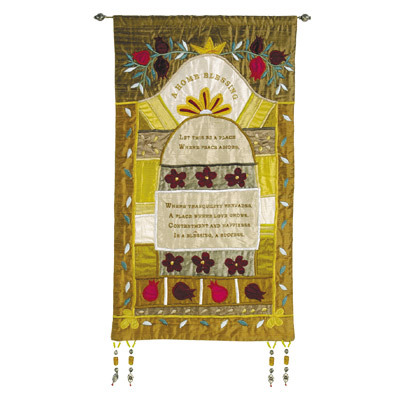 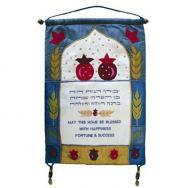 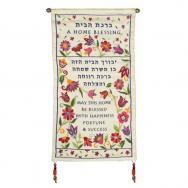 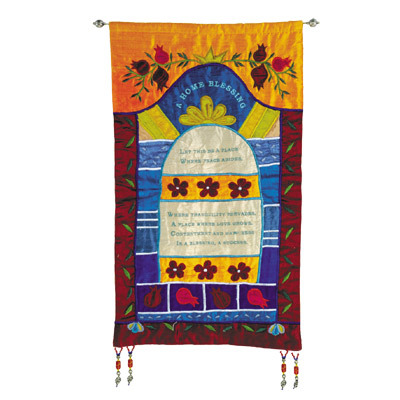 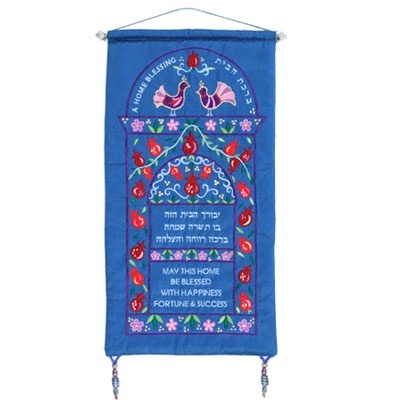 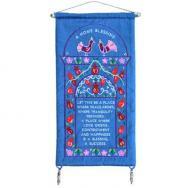 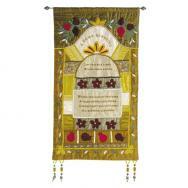 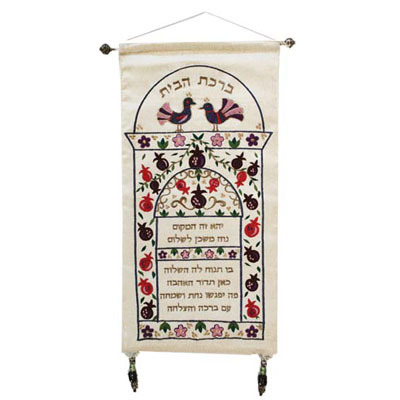 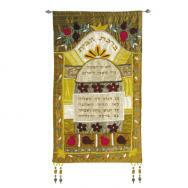 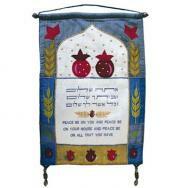 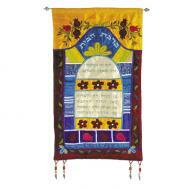 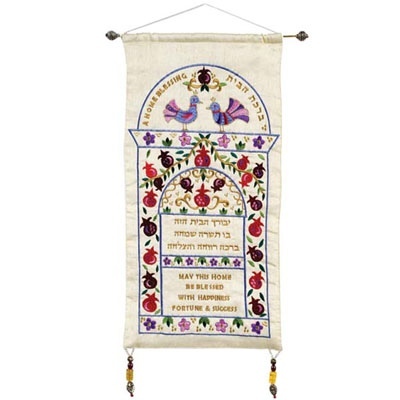 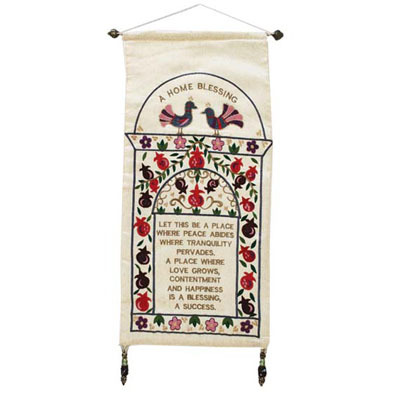 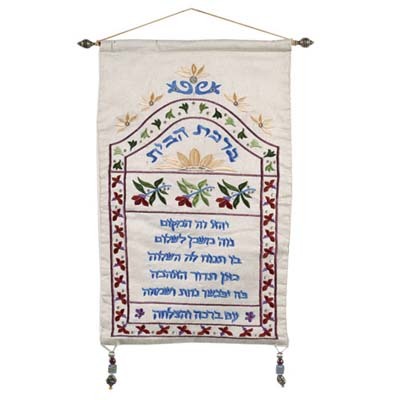 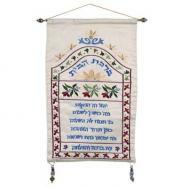 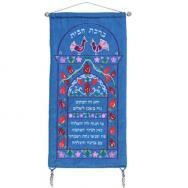 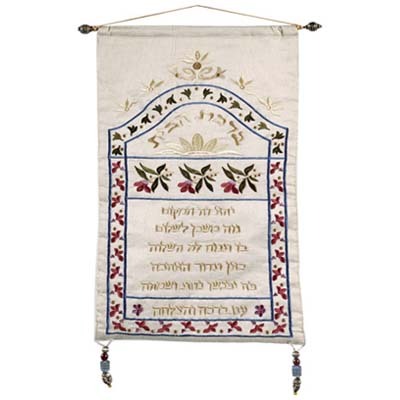 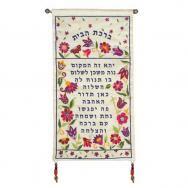 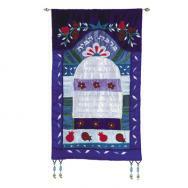 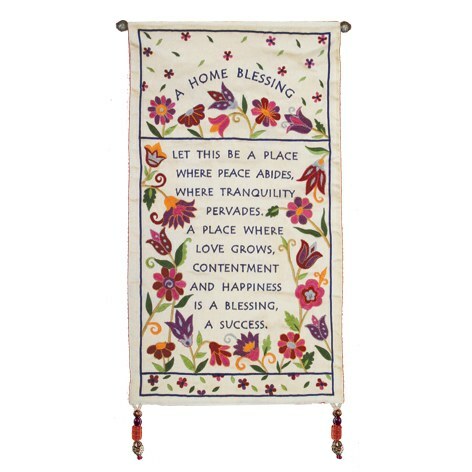 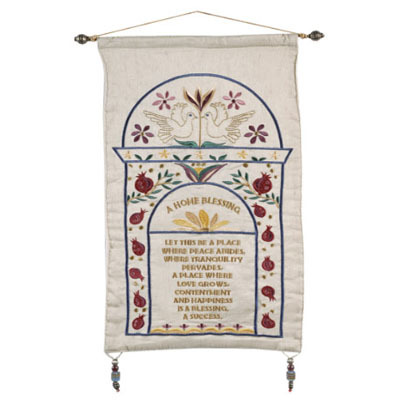 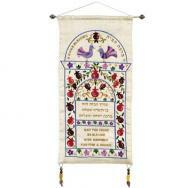 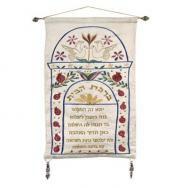 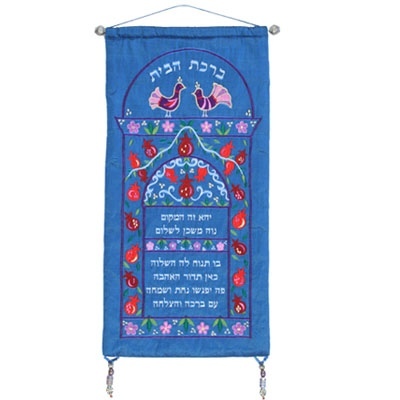 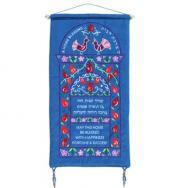 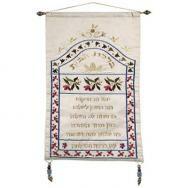 Yair Emanuel’s home blessing wall hangings are made out of raw silk fabrics and vividly colorful embroidery. 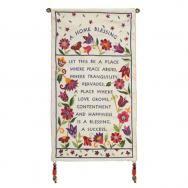 The blessings come in various shapes and sizes, and are suited for decorating the home and the office. 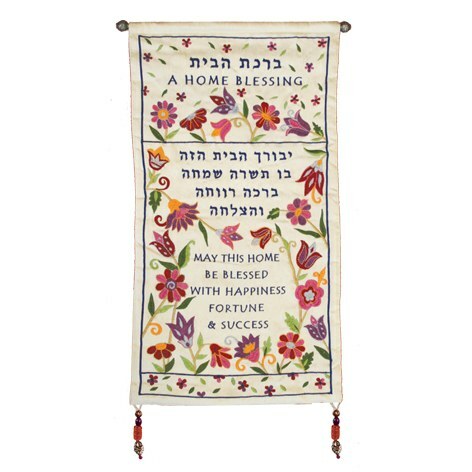 The Blessing for the Home is written in Hebrew and/or English. 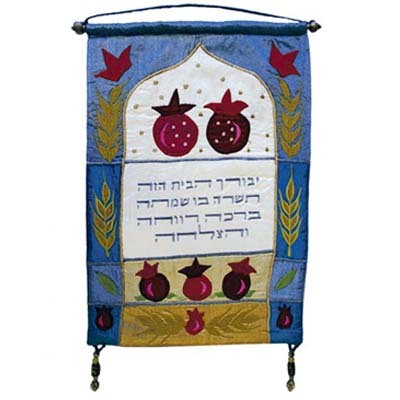 The designs depict the city of Jerusalem, the Seven Species, oriental designs and Jewish motifs such as pomegranates, flowers and lions.